If you have at least some passion towards art, especially if you’re an artist yourself, At Eternity’s Gate is an essential persuasion of its necessity in our world – not so much for the sake of its audience, but for the sake of the artist. Most people, even those unfamiliar or uninterested in paintings, have heard of Vincent van Gogh, and have perhaps heard of his mental decline and eventual severance of a particular body part. At Eternity’s Gate recollects the latter period of his life, as he was deep into his feverish, intensive, prolific state of painting. We see, and hear discussions on, how quickly he conjured his revolutionary post-impressionist works, crafting each one usually in one painting session. There are many passionate conversations of art and its utility in the world between van Gogh and his rather more commercially successful painter friend, Paul Gaugin. It’s nice to see a biopic that focuses so solely on its subject’s craft, rather than the all-too-common biopic tropes. Every part of van Gogh’s life seen here relates to his art and how intertwined it is to his heartbreaks, his outrage, and his mental deterioration. Playing the man himself, Willem Dafoe doesn’t quite disappear in the role, as we always seem to be aware we’re watching Dafoe playing van Gogh – but that doesn’t take away from how fully and comprehensively he conveys the artistic dedication and existential pain of this tortured artist, a man whose alienation and sensitivity brought him into an ever-swirling spiral of depression and self-degradation. Oscar Isaac also works well as Gaugin, who seems to be his only companion, a snarky misanthrope who truly believes in van Gogh’s art and his unique vision amongst the ungrateful commoners that surround them. As an added casting bonus, Mads Mikkelsen also shows up as a priest in one lengthy scene, just as van Gogh is institutionalised, to discuss the possible relation between art and God. Although this biopic avoids identifying a grand arc through van Gogh’s life, it more importantly pieces together many essential ruminations on art and its value towards the world, God, and the self. 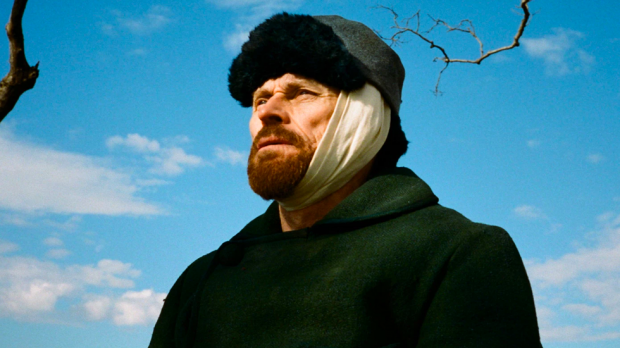 It’s no wonder director Julian Schnabel, an artist himself, helmed such a respectable work for this artist – free of unneeded hagiography or unrelated life events, At Eternity’s Gate pays tribute to this great artist by valuing his craft so deeply. At Eternity’s Gate plays at UWA Somerville from Monday, January 21 to Sunday, January 27, 8pm, and Saturday, January 26, 8:30pm, and at ECU Joondalup Pines from Tuesday, January 29 to Sunday, February 3, 8pm.